"Symmetry in motion" is the second album from Swedish AOR band Elevener. Their first album, "When kaleidoscopes collide" was released in 2008 and brought the band a lot of well deserved praise. 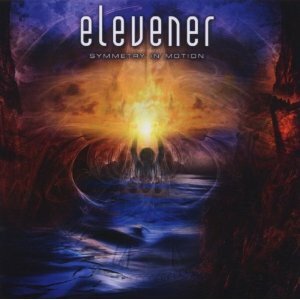 For the first album, Elevener was really just a two piece, with Johan Bergquist covering vocals, keyboards and bass, and Anton Roos handling the drums and guitar work. This time round, Elevener is a proper band with three new members drafted in. The album has a mix of ballads ("Dare to love" and "For the time we share"), up-tempo songs (such as "Never would I"), and classic AOR (for example "Just as I thought"). Symmetry in Motion is a good strong album with no weak tracks on it, but equally there are no songs that really stand out as being excellent either - what you have here is eleven good tracks.